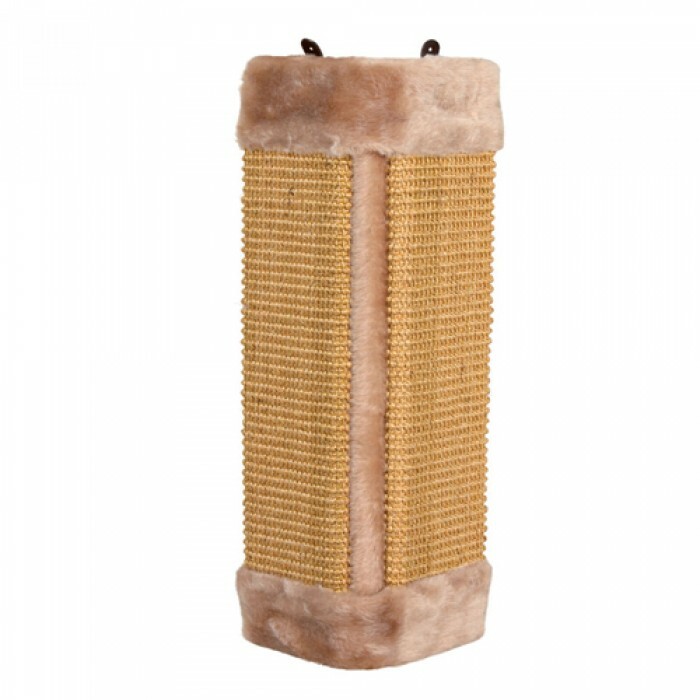 Product Details-Scratching board for corner Brown covered with plush, Measures 32 cm length by 60 cm width, Sisal surface 14 cm length by 46 cm width. Product Information-This sisal post contains catnip which attracts the cat and makes it use the opportunity to scratch its nails. Size 32.5 x 60.5 cm the scratching post protects your furniture and carpets against the natural scratching. behaviour of your cat. It is suitable for cats of all ages. Further information-catnip can be used in order to make an item or an area attractive for cats. The smell of this plant, which is related to peppermint, holds an irresistible attracttion for most cats. They become curious and want to play with this item.